Teen With A Dream » Introducing our Real Life Resource Blog-meet our founder! Introducing our Real Life Resource Blog-meet our founder! 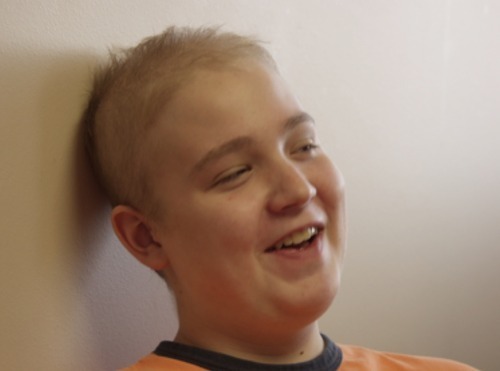 12 years ago I started Teen with a Dream with a dream to help children with cancer. I have watched it grow and evolved into something truly amazing. 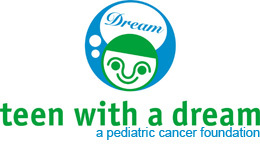 With a mission to provide aid comfort to all children with cancer ages 0 to 21 Teen with a Dream has many programs to achieve this. However behind all of our programs there is a key thought process that I believe expresses all of our programs effects at once. Here is a story that I feels express what we do “someone is walking happily down the street and suddenly falls into a giant hole. Several people walk by and yell saying they will go get help. Then a friend walks by and looks down then jumps into the hole. The first person says what are you doing now we are both stuck down here. The friend replies yes but I’ve been down here before and I know the way out…” I, as a childhood cancer survivor myself, everyday think about what the child is going through and how I can help. This is the essence of Teen with a Dream. Whether it is our educational programs, combating social isolation, combating the mental/emotional side effects of cancer and treatment, or the actual physical comfort of the child, Teen with a Dream wants to be that friend who has been there, and knows the way out. I believe that this understanding and passion has carried Teen with a Dream to do amazing things for hundreds of children with cancer. This will be my first of many blog posts, and each day will have some kind of knowledge or tidbit for a patient going through cancer, their families, or friends of a family dealing with cancer. All of us at Teen with a Dream hope to be your Real Life Resource for dealing with childhood cancer and look forward to a long relationship via our blog and look forward to your story ideas and comments. Check back on the days ahead we’ve worked hard to make this an amazing Sept which is official the Childhood Cancer Awareness month and we are celebrating with the launch of this blog.